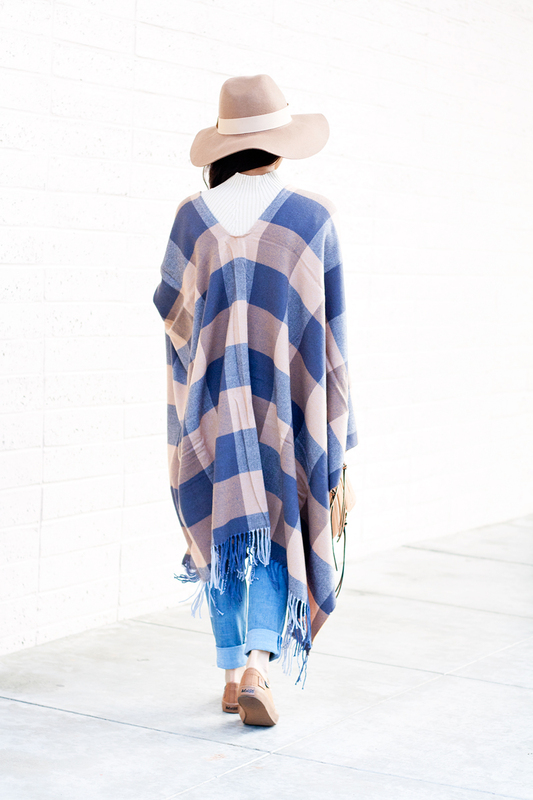 It's a poncho! It's a cape! 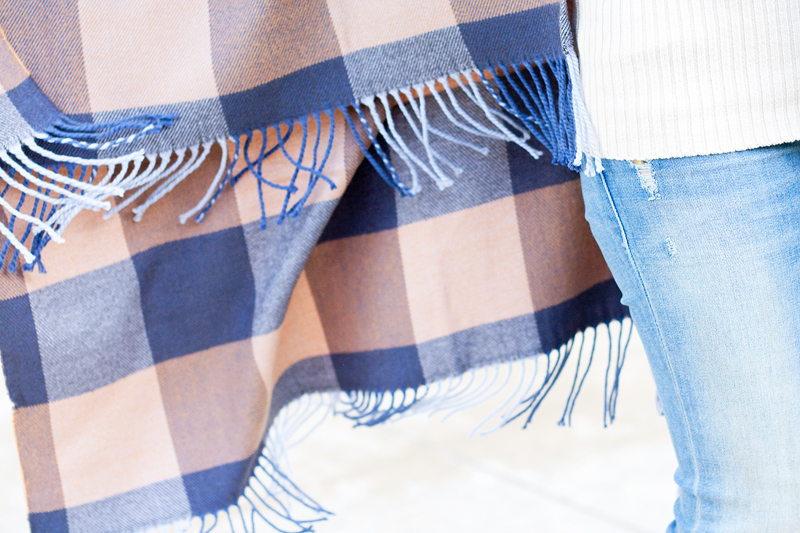 It's a blanket! 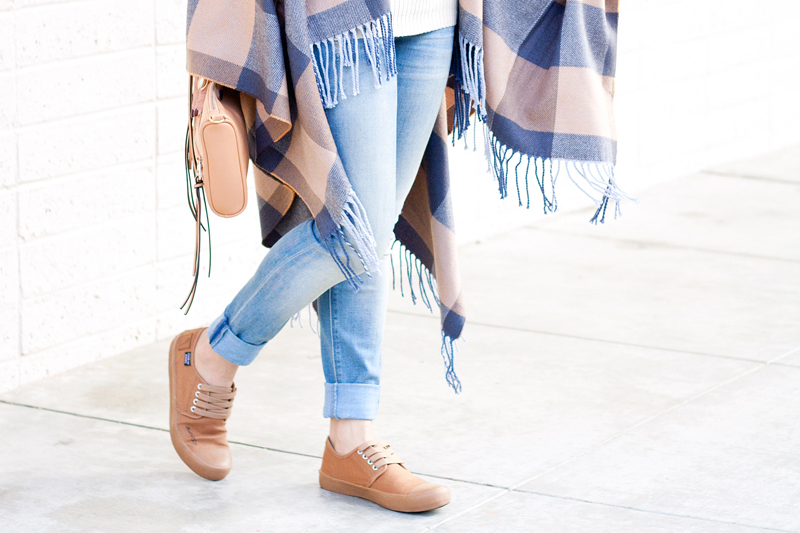 Fall is all about layering and being all wrapped up! 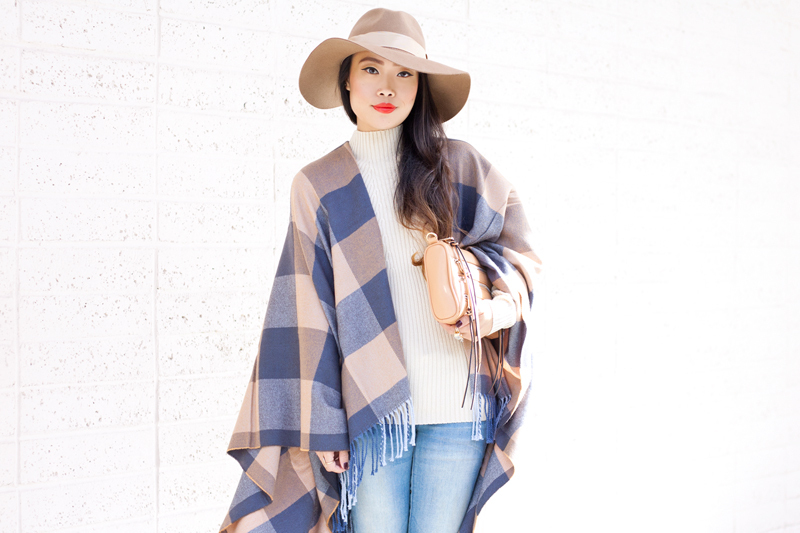 At first glance, it looks like any other oversized scarf; in reality, this piece from Uniqlo has a slit that goes half way down the middle so that it drapes perfectly as a poncho. What I love most is that it seems to have some kind of magical power to make fall more like fall in this not-very-cold California weather! 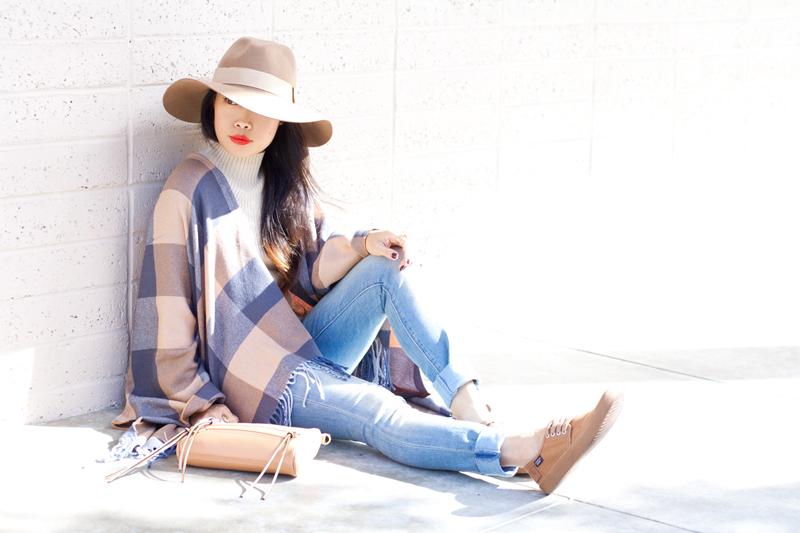 I layered this piece with a ribbed mod neck sweater from F21, distressed midrise skinny jeans by Dittos, floppy fedora from MakeMeChic, and a pair of classic khaki lowtops by Bangs. This is the FIRST time I've ever worn sneakers on here, actually first time wearing sneakers since high school which was over 10 years ago! Wow I completely forgot how comfortable shoes can be! 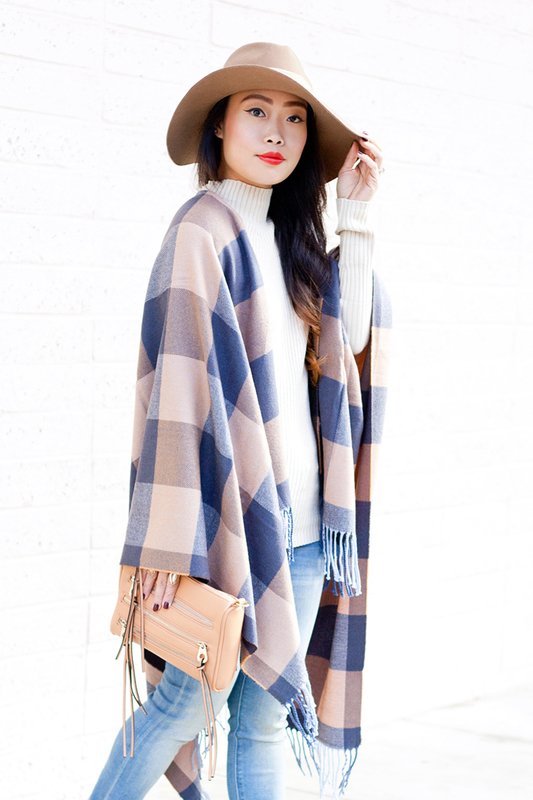 Beige plaid poncho scarf by Uniqlo. Ribbed mock neck sweater c/o F21. Selena midrise skinny jeans c/o Dittos. Classic khaki lowtops c/o Bangs. 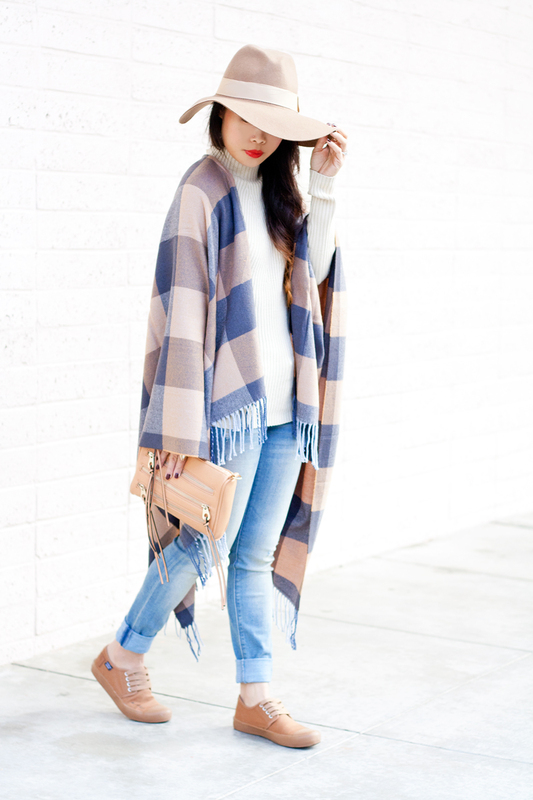 Floppy wool fedora hat c/o MakeMeChic. Great look! I'm currently in search of the perfect cape for the fall and didn't think to check out Uniqlo. I also love the way you paired these neutrals together to create a cool cozy and chic look. Love this!! 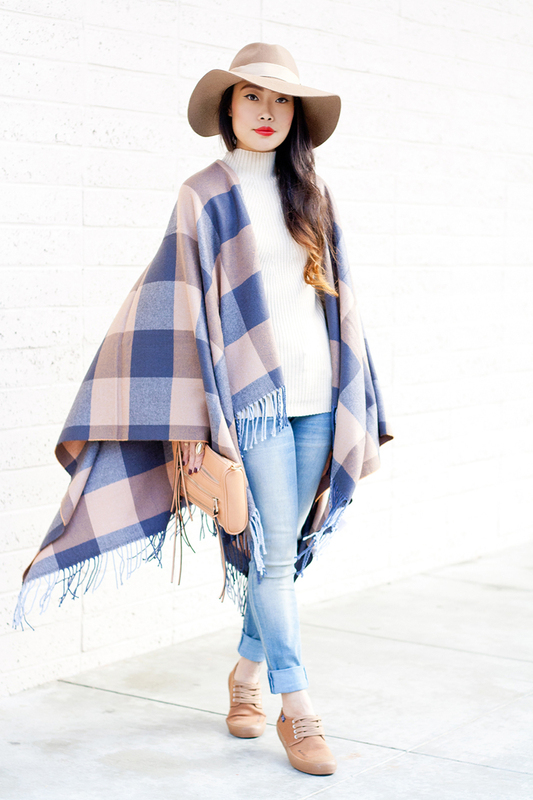 This awesome poncho makes me an even bigger fan of Uniqlo...didn't think that was possible !